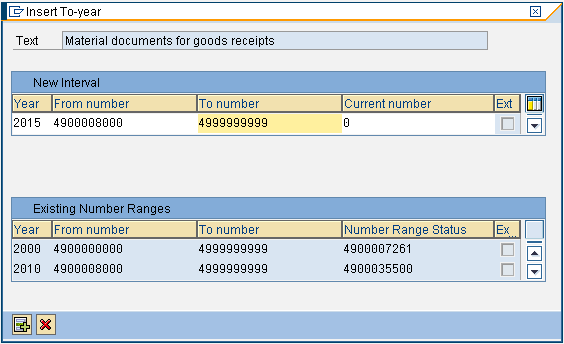 This error comes up when you try to post a goods movement, but the corresponding physical inventory documents do not have number ranges for the fiscal year. As SD or MM consultants, You typically encounter this while doing a PGI of outbound deliveries (VL02N – Goods Issue against a delivery document) or posting inbound receipts against a PO (MIRO – Goods Receipt against a Purchase Order ). Here is an example of an error. 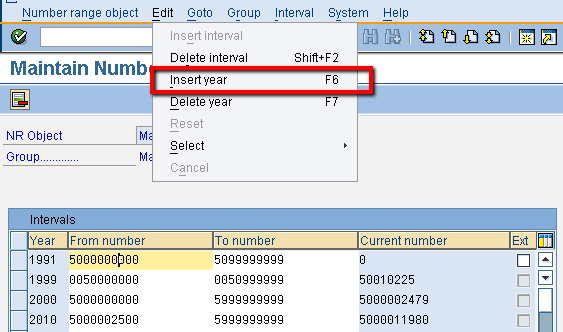 This error crops up when number ranges does not exist for the corresponding document type / fiscal year combination. 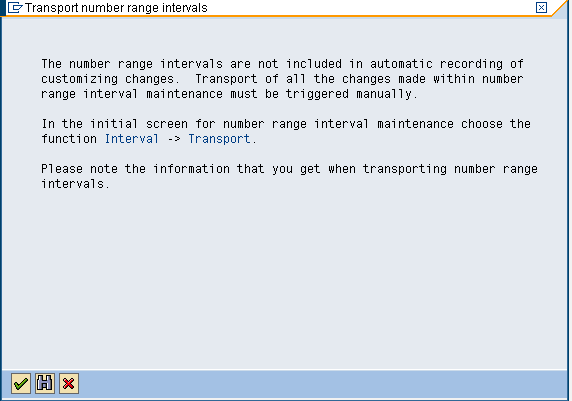 Simple – Create number range for the combination. Step 1 – Go to OMBT and click on the “Groups” icon. 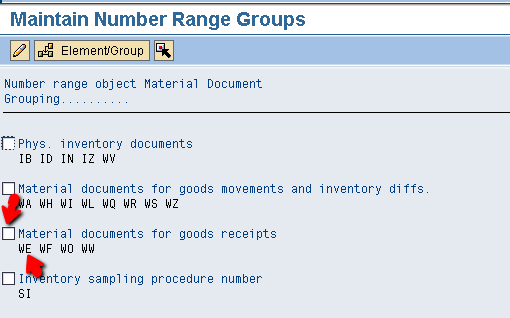 Step 2 – Select the correct checkbox – For example, our error was related to the goods receipt material documents, of type “WE” . So select the checkbox as shown below and click on the pencil icon. Step 3 – As you can see, number range does not exist for fiscal year 2015. And make an entry for FY 2015 and click on the “plus” button. Now you have made a number range entry for 2015 for document type WE. Save it. You get the message saying number ranges are not transportable – That’s fine – Just hit OK.
That it. That should solve your problem.